Bike Outlet are proud to offer the excellent GT85 Spray Lube with PTFE - 400 ml. With so many on offer today, it is great to have a brand you can trust. The GT85 Spray Lube with PTFE - 400 ml is certainly that and will be a great acquisition. For this price, the GT85 Spray Lube with PTFE - 400 ml comes highly respected and is always a popular choice with lots of people. WD40D have included some great touches and this means good value for money. 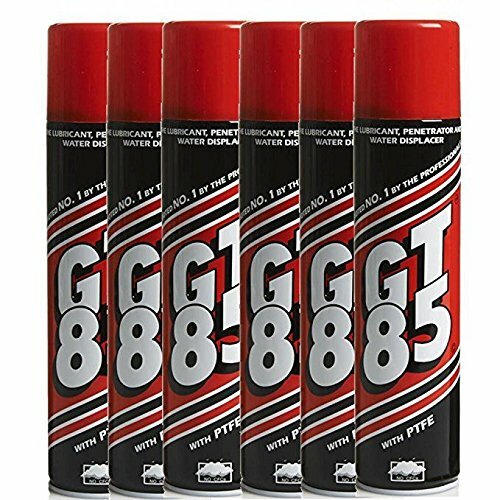 GT85 Spray Lube is particular efficient for gear transmissions and chains. Ideal for derailleurs, cables, brake levers, chains. It is a general purpose cleaning/lubricating PTFE spray.